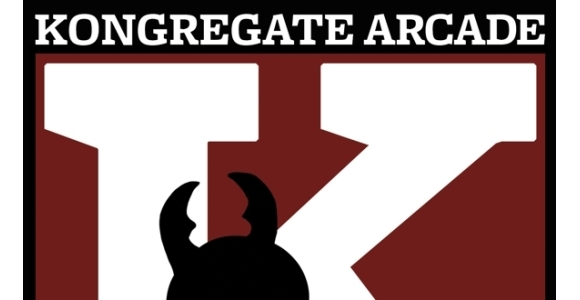 This week Matt Stevenson from our Torquay Road store has kindly offered to write about the fantastic gaming site Kongregate which, as a non gamer, I felt ill-qualified to cover. Enjoy! A year and a half ago I was shown a website that was pitched to me as “YouTube for video games” and as an avid gamer I was rather keen to get on this website and see just how it worked. The website was kongregate.com and it has since become one of my top visited sites for many reasons. Kongregate currently features 19,620 completely free mostly independently produced games and more are being added daily. Whilst not necessary, users are encouraged to register for an account so they can use the sites social element and contribute to the site with ratings and reviews. The social part of the site (to justify endless hours of gaming instead of getting some fresh air) comprises of the ability to add friends who are also users or to use the site to send messages to encourage them to join your game. When playing games you are always given your game window accompanied by a chat room where anyone else who is in your chosen room can discuss anything they please. By having an account you can also use the sites achievement system which is very similar to that offered on Xbox360 and Playstation 3 networks. By playing games, rating games and referring friends you earn badges to be displayed on your profiles, collectable cards to be used in the sites online card game and also get points which advance in rank on the site. Most importantly Kongregate is completely free to use and is funded purely by advertising and its recently implemented Kreds system. Whilst the adverts are present on every page of the site they are never intrusive and tend to fit the ethos of the website generally being for big game/movie releases or general geeky technology. The advertising is generally done in some rather clever ways that really get a gamers attention. For example most recently Kongregate celebrated the release of the film Zombieland with Zombie week where a different challenge was available for points each day for a different zombie based game on the site. The games were of course surrounded by rather unsubtle Zombieland branding but never did it hinder or stop you playing the game. Loot challenges are regularly available where completing the challenges would enter you for a prize draw to win prizes such as retail next gen games and home cinema systems. These are dealt with in a very similar way to the Zombieland promotion and are never intrusive. The Kreds system is completely optional for all users and revolves around you buying virtual currency through PayPal or a credit/debit card. With your Kreds you can purchase additional content for games, Kongai cards or even leave a tip for the developer of a game you particularly liked. Kongregate also encourages the user to get involved by offering tutorials and free web based software for developing flash games. Most notably, with their series of Shootorials where they released script for a game developed in house and challenged users to make the best game they could offering cash prizes for the best entries. Another innovative feature is the creation of Collabs, which acts as a meeting place for artists and musicians to contribute their digital work and meet up with like minded people, as well as encouraging developers of to create new content for the site. Whilst the purpose of the website is of course to make money it is refreshing to see a company taking steps to create something unique and offer a great service without bombarding its loyal users with adverts and restrictions. I can only hope the site will continue to grow in popularity to truly give independent games studios and developers a chance to give their work a platform outside of the traditional games industry; in much the same way that the Internet has done so very well of late for the music industry.